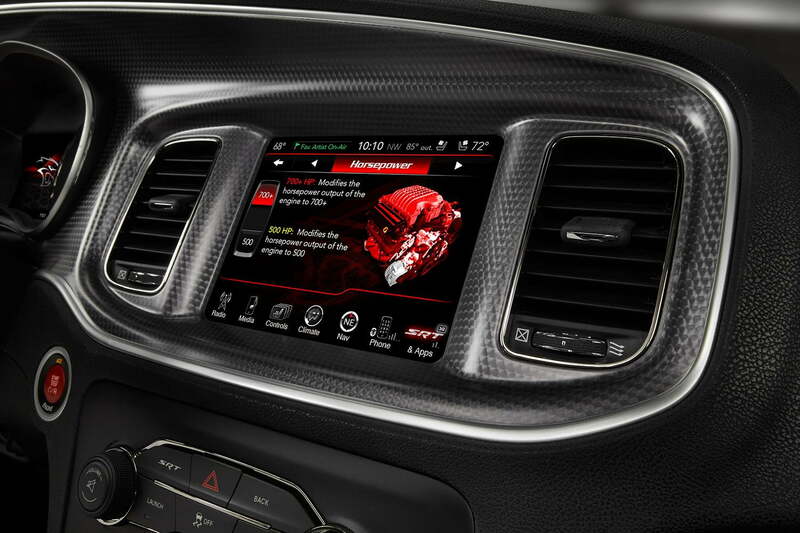 Thanks to a combination of practicality, great hardware, and the best user interface on the market, FCA Uconnect is the gold standard of inexpensive infotainment. Updated on 7-8-2015: This rating was lowered to reflect increased competition in the space from Apple and Google. For more on how we rate products, see our scoring breakdown. Virtually every new car on the market these days offers some sort of infotainment system. 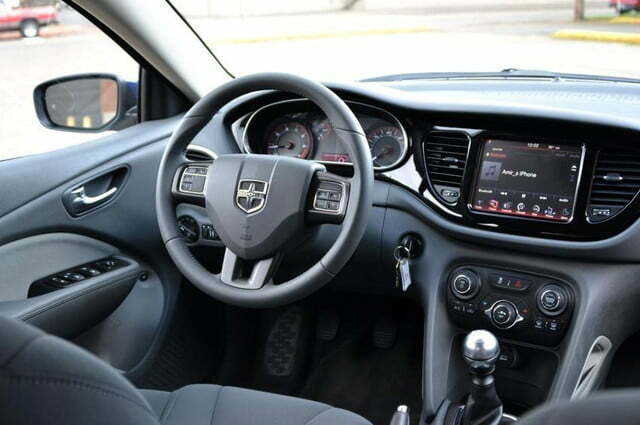 While undoubtedly cool, these units further complicate and confuse the new car-buying experience – especially considering most buyers only get 20 minutes to check out a new car before they sign on the line. 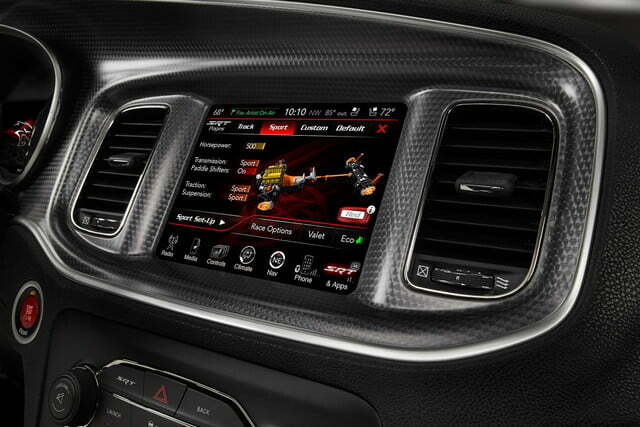 That buyer need not worry about the current gold standard in infotainment systems, the FCA Uconnect. Since the debut of its most recent iteration in 2013, Uconnect has proven to be one of the most user friendly and comprehensive systems on the market. 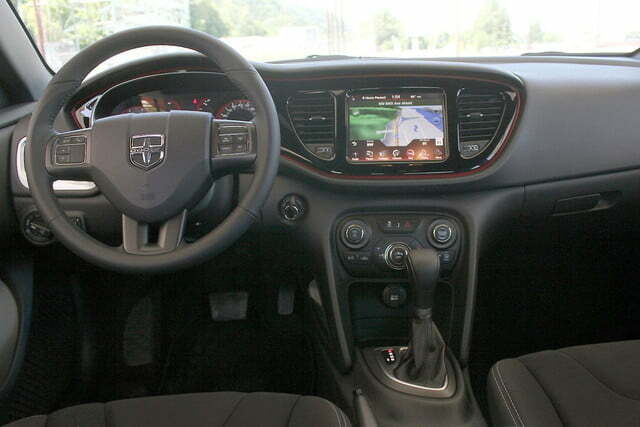 And thanks to the fact that it is featured on just about every Chrysler, Dodge, Ram, and Jeep product, it is also one of the most widely available to boot. This is the big one. If an infotainment system isn’t easy for drivers to use while simultaneously – and safely – piloting a two-ton vehicle down the road, it doesn’t matter how many features or pretty graphics it offers. And it is on this quality that Uconnect really stands out. Uconnect has proven to be one of the most user friendly and comprehensive systems on the market. The key to Uconnect’s success is the simple design of the touchscreen interface. 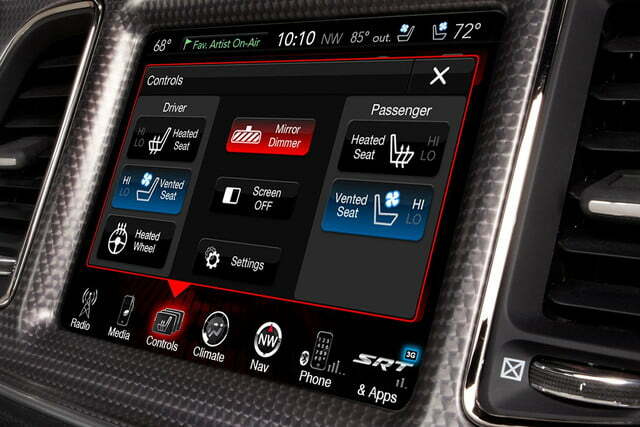 Seven menu buttons run across the bottom of the screen at all times, providing one-click access to the radio, media, heated and cooled seats, climate control, navigation, phone, and whatever apps are installed. No matter where the operator is in the system he or she can instantly transition to where they want to be virtually instantaneously. Individual menus are also sensibly laid out, with large text and a consistent arrangement of virtual buttons. This means that once one menu is figured out, the rest will come easily. Also, important functions are provided very direct pathways. For instance, pairing a Bluetooth device requires just two clicks: first push the Media or Phone menu and then simply push Add Device. These features may seem simple and obvious, but I have frequently found myself longing for Uconnect while trapped in the byzantine nightmare of other automakers’ infotainment menu trees. Keeping the structure simple is difficult when the whole point of a system like Uconnect is to cram enough ‘info’ and ‘tainment’ into the driver’s eyeballs that their brain becomes a squishy mess. Where other automakers have gone nuts, Chrysler has held back a bit and I am okay with that. Instead of delivering a ton of rarely used features – like three different varieties of internet radio – as standard, Uconnect delivers the essentials … plus a few nice toys. 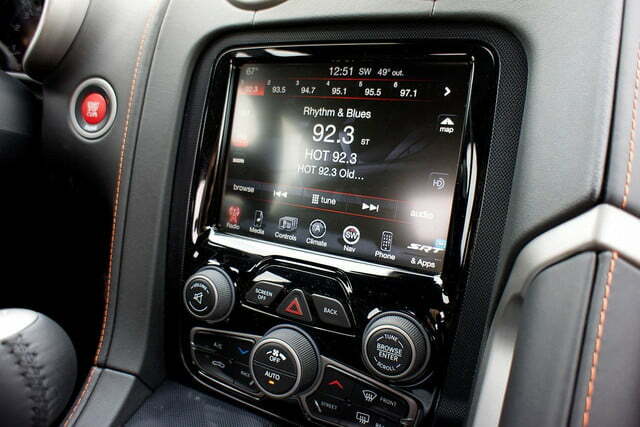 The system is built around core features like navigation, phone connectivity, and media, but it also provides nice extras like Sirius XM satellite radio and traffic updates, voice texting, and a mobile Wi-Fi hotspot. The only place that Uconnect really lets its hair down is on model specific features. 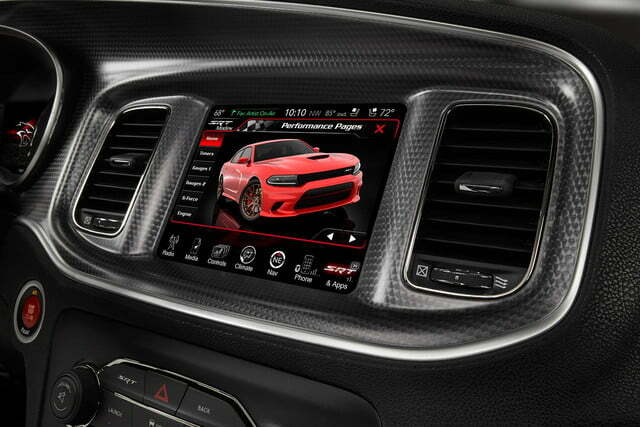 On SRT models, like the Dodge Challenger Hellcat, there are dozens of performance apps to help enthusiasts measure quarter-mile times, lap records, and G-forces. 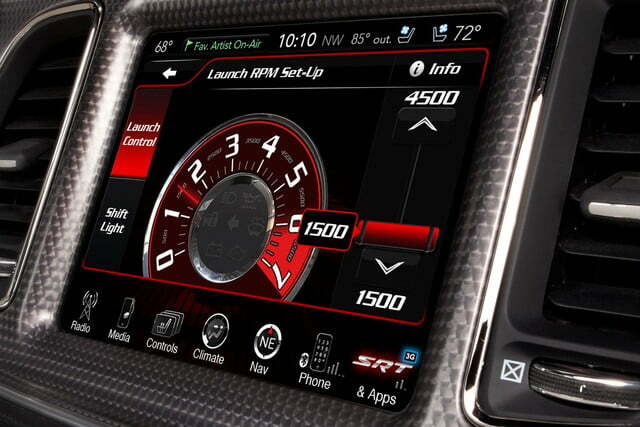 By contrast, Ram trucks can display a variety of towing related information in a connected display in the gauge cluster. 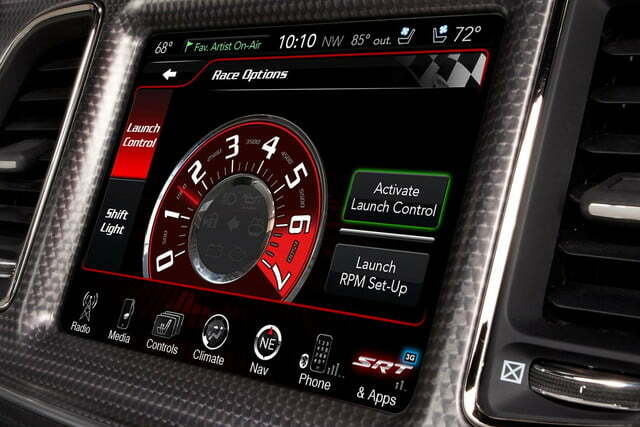 Just as features mean little if the user interface isn’t well designed, software is only half the battle. 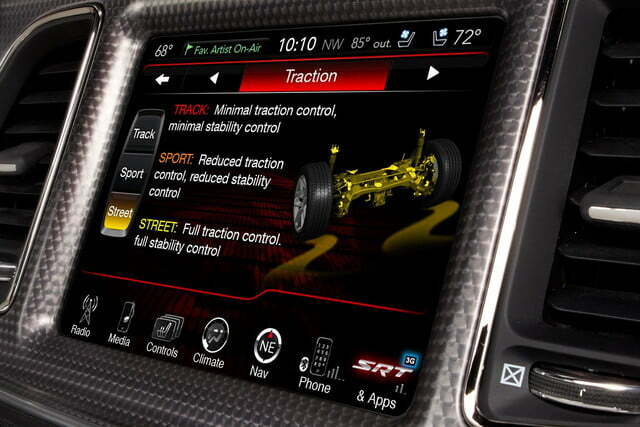 A great many infotainment systems are let down by shoddy touchscreens and weak processing power. I’m looking at you, Cadillac CUE. Fortunately, Uconnect is not one of them. The key to Uconnect’s success is the simple design of the touchscreen interface. 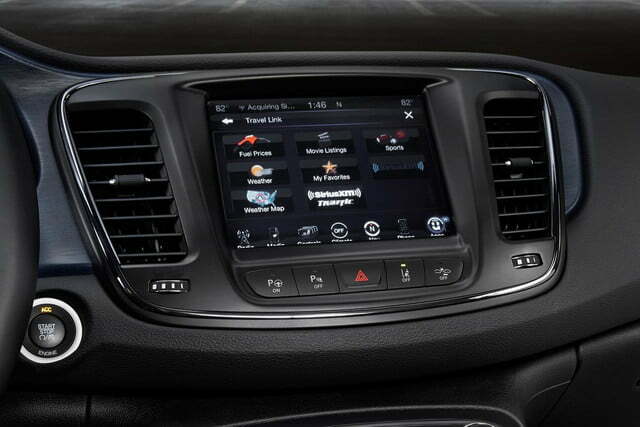 The standard Uconnect system in most Chrysler brand cars with is a 5.0-inch touchscreen. While this is perfectly adequate, I recommend spending the extra money to upgrade to the 8.4-inch, which is among the best screens on the market. There is no haptic feedback, but the screen is responsive and sensitive. The experience is not unlike using a reasonably good tablet or smartphone, which in this industry is very high praise. 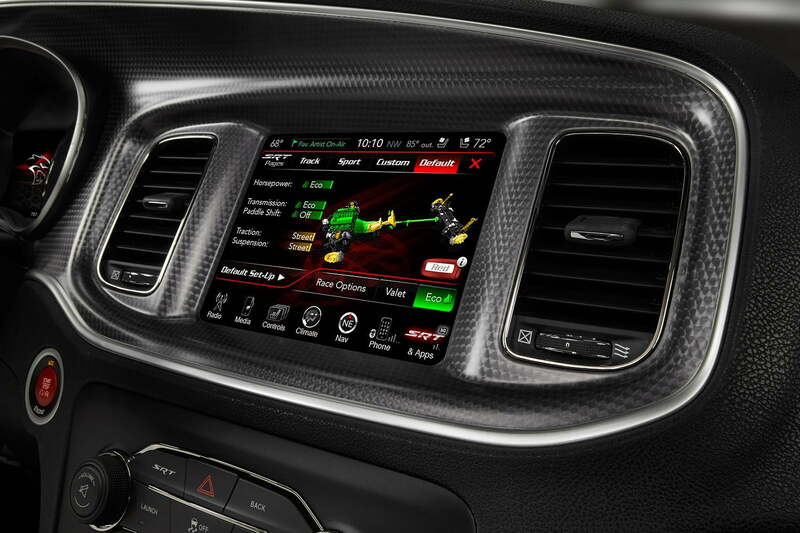 Happily, Chrysler actually installed a chipset with enough horsepower (you measure processors in horsepower, too, right?) to actually run the system, meaning Uconnect rarely freezes or binds up. 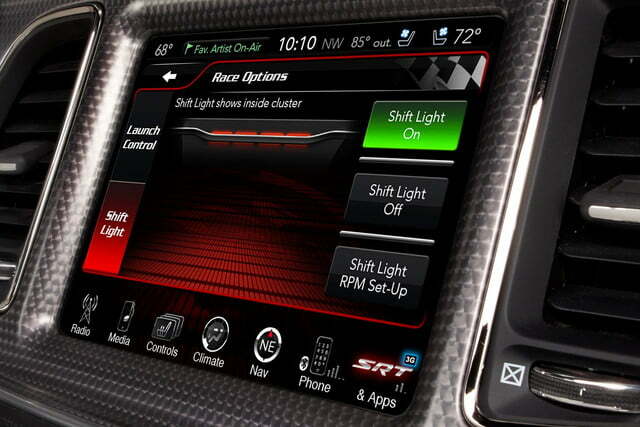 Again, this may seem obvious, but clearly no one has mentioned that to Ford or Microsoft. The only stone I can cast at Uconnect is on the issue of aesthetics, and even there it is a pretty small stone. 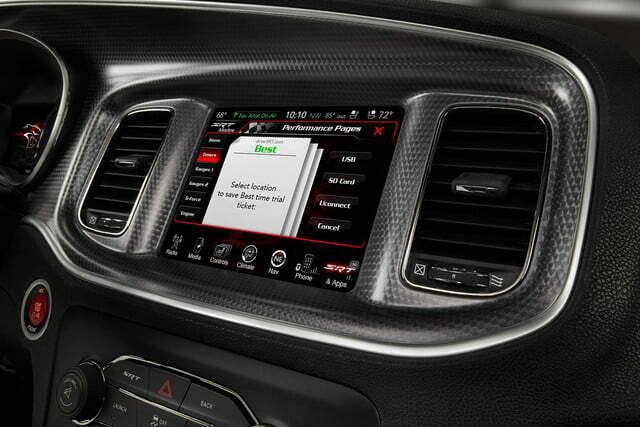 To make the system easier to use, Chrysler has gone with large icons and writing. This is genuinely helpful, especially for quick glances down at the system. 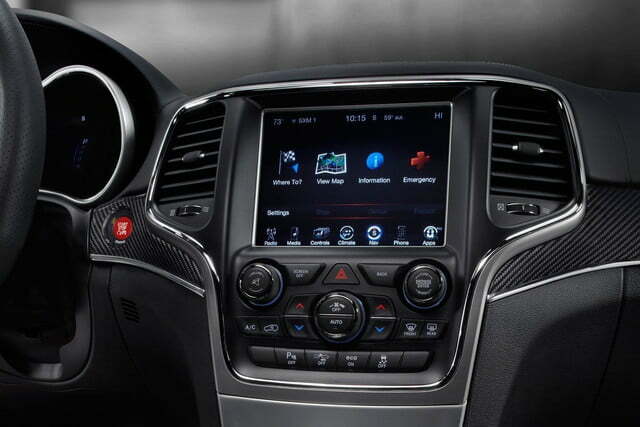 However, the size and choice of font can make the system seem a bit “Fisher-Price’s My First Infotainment System” at times. This isn’t a problem on a cheap and cheerful car like the $20,000 Dodge Dart, where the somewhat simplistic graphics go with the theme of the car. 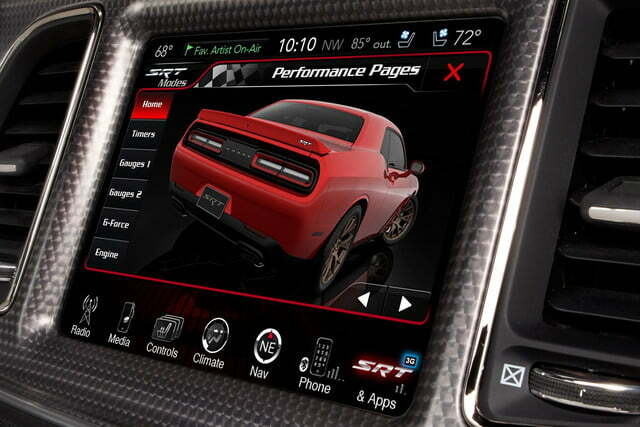 But on a $102,485 SRT Viper, or even a high-end Grand Cherokee, it looks a little down-market. 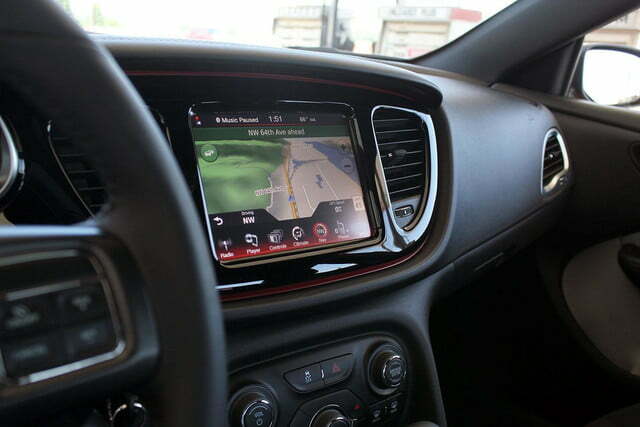 That down-market feeling is especially present in the navigation graphics, which, like many infotainment systems, haven’t changed that much from the first dash-mounted GPS systems. This isn’t to say that the Uconnect system is ugly; its looks are simply a reminder that it is a mass-market system, even on high-end applications. 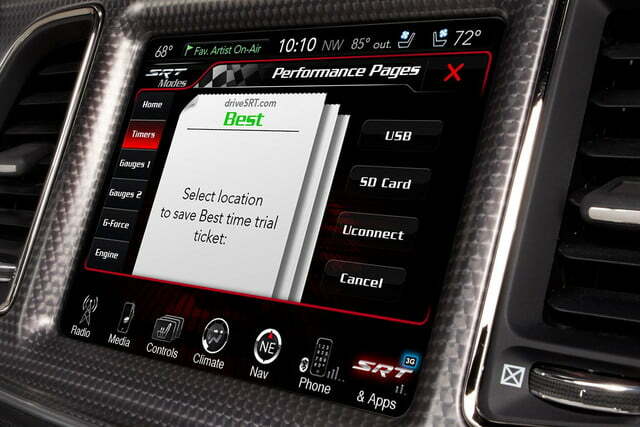 It is precisely the fact that Uconnect is mass-market that helps make it the benchmark for all others infotainment systems. The beauty of Uconnect is that even the owner of an entry-level car like the Dart can enjoy just about everything the owner of an $80,000 Mercedes can. 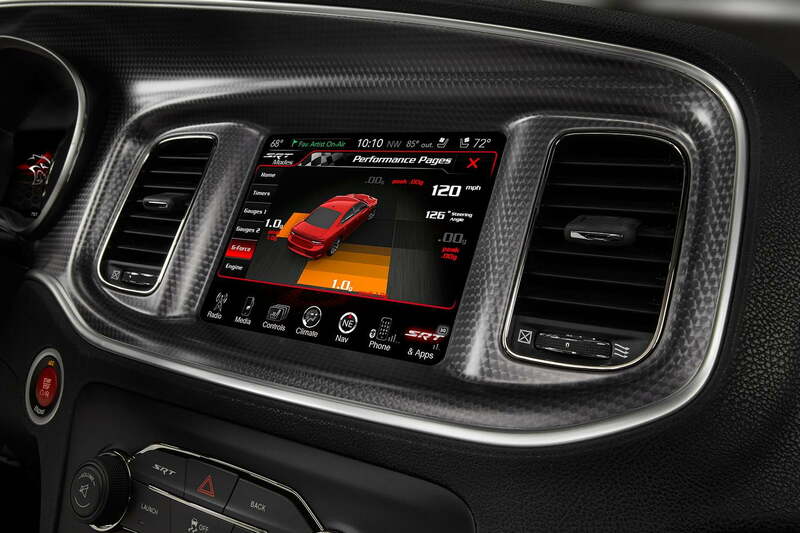 In fact, while it may not be quite as slick or high-tech as the systems offered by Mercedes and Audi, it is easier to use and more stable. That doesn’t mean I would choose a Chrysler 300 over an A6, but when choosing between close competitors like the F-150 and Ram 1500, Uconnect’s excellence would absolutely help sway me. And if an infotainment system is that good, it is absolutely worth paying attention to. Qiantu K50 electric sports car was designed in China, will be built in the U.S.